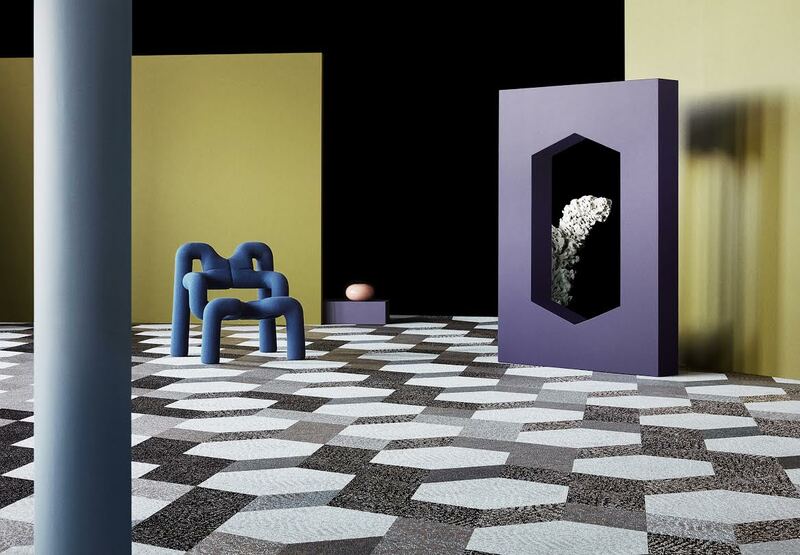 Let’s face it: we’re in the midst of a hard flooring-loving moment. 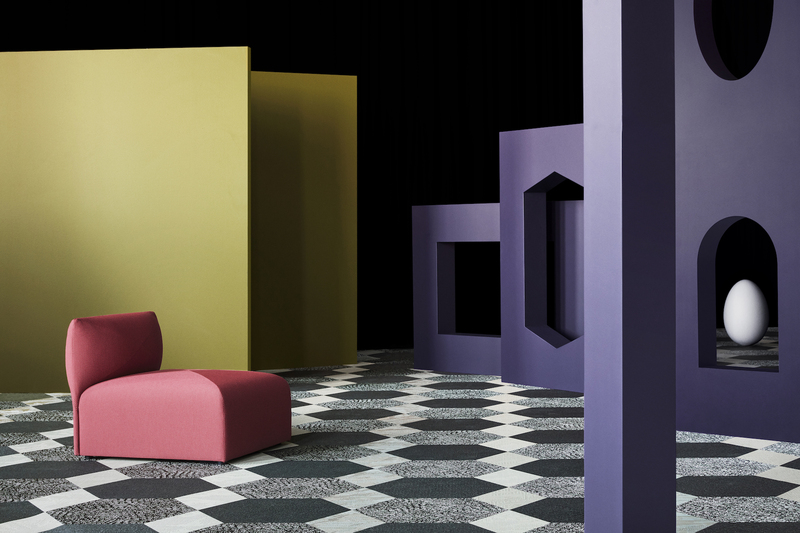 But while conventional renovation wisdom tells us that removing the artifice of carpeting gives way to something better, older, and hidden, Bolon’s latest offering might have us retrograding to the upholstered treatments that resonated far and wide from the ’60s through the ’90s. Bolon is a member of The List, the destination for all things Surface-approved. Want to join The List? Contact our team to find out how to apply. 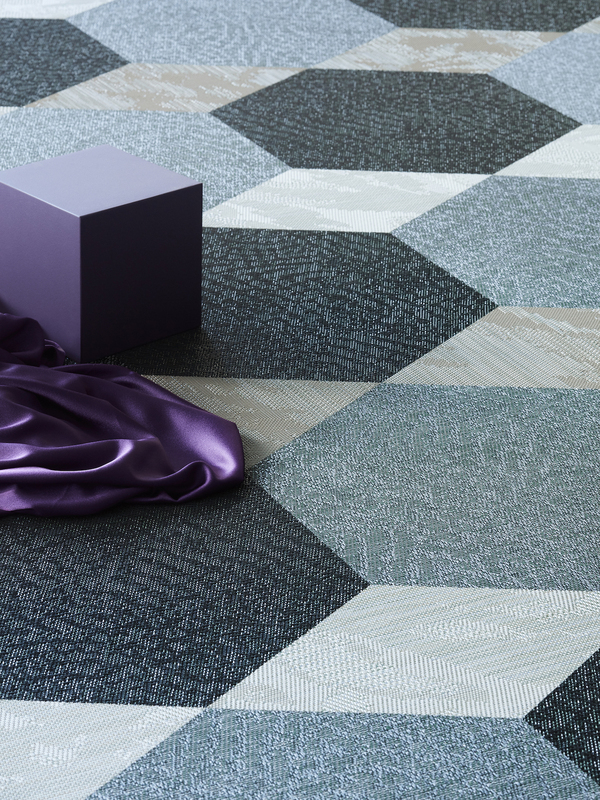 With the “Diversity” collection, Bolon references its more than 70-year history with reinterpretations fit for the modern age. Said diversity in this collection manifests in its irregular tiled shapes, which can be composed in various arrangements. The colorways, muted in tone, balance out the possibly zany combinations, each of which is available in three different patterns: “Buzz” (the mildest of the bunch), a nuanced heather; the brocade-like “Bling”; and, finally, “Bouquet”—a floral-inspired, nondescript textile. Perhaps the most exciting development in the “Diversity” collection is the arrival of a new tile shape, “Link,” a kite-shaped addition that makes even more room for diverse pattern discovery. Bolon’s “Diversity” collection—with can’t-look-away details in both its shapes and patterns—may just be the catalyst we need to inspire a shoegazing revival.